After gathering some 219 drivers in its first phase of 2018, the SKUSA Winter Series opened its second season last weekend with 240 entries, up 10 percent from one year to the next. 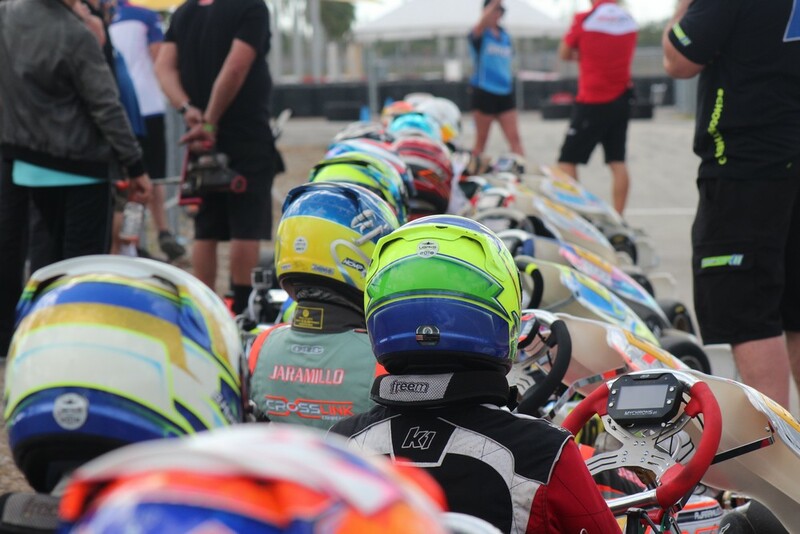 The first of two double rounds was held at the AMR Motorplex by MG Tires in Homestead, United States, and had live coverage of the website Kart Motor. The competition was attended by 12 Brazilian drivers, a delegation that won a Top 5, three victories in the finals - two of them in doubles - and the absolute leader in the score table, also in double, in the X30 Master. Miguel Costa, one of the Brazilian representatives, won the Saturday's Final in the Mini Swift and is one of the postulants to the title, in the same way as Renato Jader David and Rodrigo Piquet, who shared their victories in the two Finals of the X30 Master. Piquet left the first round stage as a leader, having Jader behind him in the championship score. Enzo Vidmontiene, driver of Micro Swift, was third on Saturday and won his first podium in the United States. With three Brazilian drivers in their ranks, Orsolon Racing was also present at the SKUSA Winter Series. The team headed by Fábio Orsolon uses Tony Kart chassis, is headquartered in the United States and attended Lucas Staico (X30 Junior), Felipe Nicoletti (X30 Senior) and Renato Jader David (X30 Master) himself, as well as six other competitors. "It's a beautiful championship, and every time I come here I'm happy to be able to participate, the atmosphere is very good and the level of competitiveness and the participants are improving", says Rodrigo Piquet, who competed with a 100% Brazilian technical package: Mini chassis, RBC engine and D Racing team, of the trainer Daniel Ramalho, in addition to the support of the representative of the Mini in the United States, Claudio Capparelli. "We had drivers from around the world, including a world champion, Lorenzo Travisanutto, winners of SKUSA Supernationals and American champions", recalls Piquet, nephew of three-time Formula 1 world champion Nelson Piquet. "And we Brazilians, we show that we can compete on an equal basis, our technical level is very high," he adds. The SKUSA Winter Series is a two-round competition, each with two Pre-Finals and two Finals, which totals eight events on two weekends between January and February. The next round will also be played in Homestead, between the 8th and 10th of February. "It's worth the SKUSA Winter Series, it's a very well organized championship and it's going to grow every year. Homestead has a very beautiful track, very good to race, and the races are held in a holiday season", remembers Rodrigo Piquet. "I'm already signed up for the next round and I'll fight for the title," he says.